Atlanta has a thing for cannons. 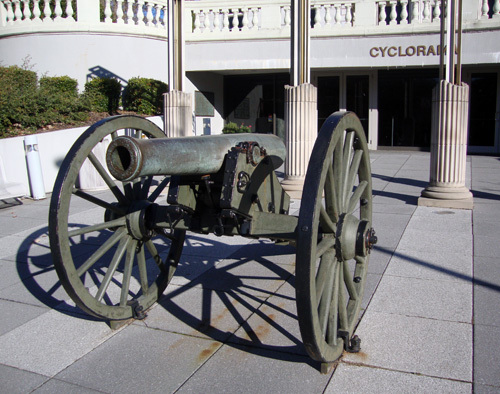 The truth in that statement is highly present at the Atlanta Cyclorama, an attraction that tells the story of The Battle of Atlanta during the American Civil War through videos, exhibits, a locomotive and a massive, cylindrical painting and diorama. You'll want to allow a couple of hours to see everything. Once you've carved out the time, head to Historic Grant Park and when you're done at the Cyclorama, Zoo Atlanta is right next door...the orangutans alone are worth a visit!